If you know me, you know I love wine. I REALLY LOVE WINE. The part I hate is the struggle especially when the cork breaks and makes the relatively easy task of opening a bottle of wine, exhausting! But not until recently, Vineyard Elite has created a game changer when it comes to wine opening, The Perfect Wine Opener Standard Edition. Powered by the air we breathe, it simply pushes air into the bottle when pumped and pops the cork out with air pressure. Just a few pumps and the cork pops right out without any damage. The leak and spill resistant bottle seal quickly and easily pumps all the extra air out of open wine bottles to keep your wine fresh for up to two weeks. Just insert into the top of bottle and pump. 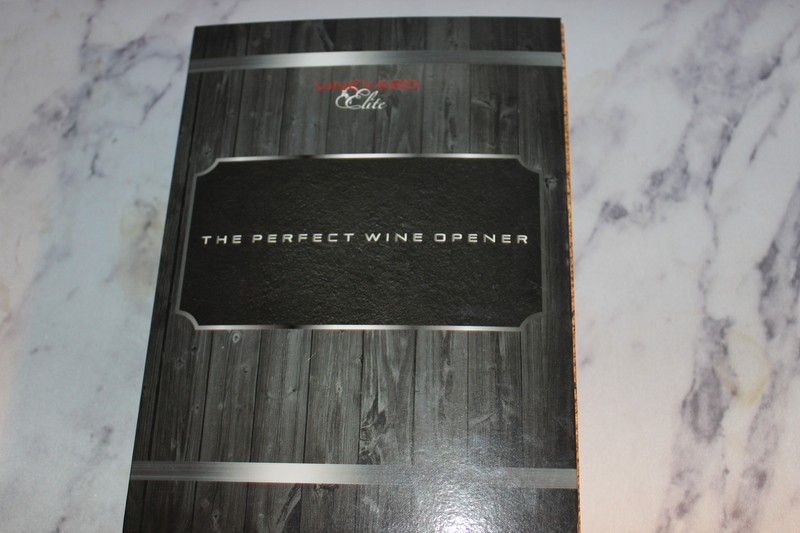 The Perfect Wine Opener Standard Edition comes with a Wine Opener, 3 Perfect Wine Sealers and a Foil Cutter to remove the foil quickly. You bet, I’ll be using this all throughout the holidays!